Stephen and Anne's life in pink: What would Brian Boitano do? On my first off four days off between jobs today I took ThingOne to the ice skating rink that's been put up on Parkers Piece in Cambridge. ThingOne saw it a few weeks ago, and having seen ice skating on Charlie and Lola decided she'd like to try it. She was very excited this morning when I told her what we were doing. 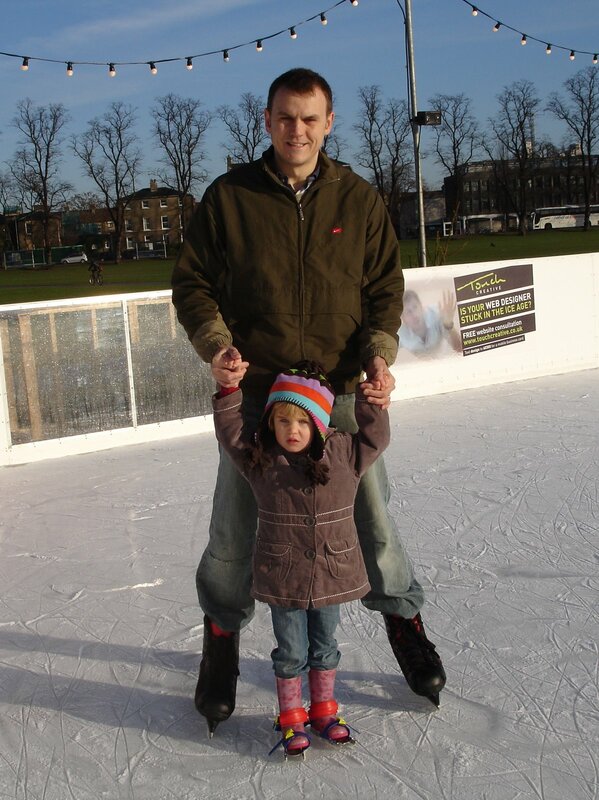 Ice skating is tricky, so I figured she may not take to it, and that we may not use our full allotted hour. Our session started at 10am, and we arrived early. 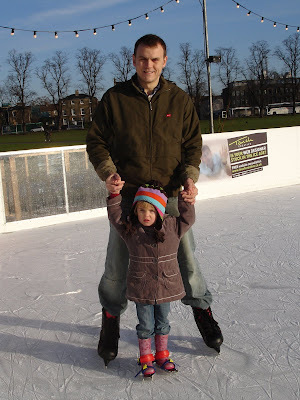 We were allowed to go on the ice early, since it was already open and not busy. Within five minutes ThingOne had uttered the phrase "I never want to go ice skating ever ever again!" Great. It was only ten minutes to ten. Not only hadn't we lasted the hour, we hadn't even reached our start time. She didn't even fall over. She didn't have the chance. Postscript: It has snowed heavily in Cambridge this weekend. 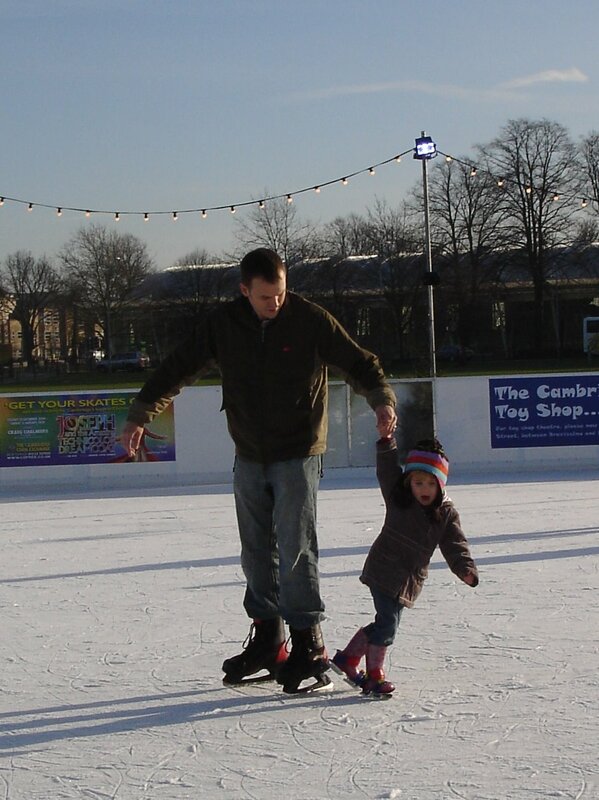 We went out for dinner tonight and Lily insisted on holding Mum and Dad's hands and skidding along on the ice. "I want to slip!" "We paid for you to go ice skating and you refused, we're not doing it for free" I said grumpily.